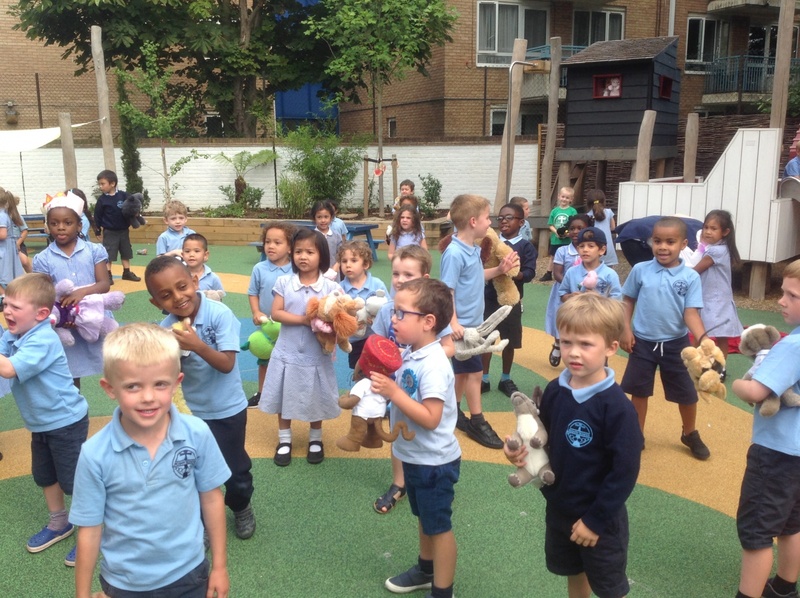 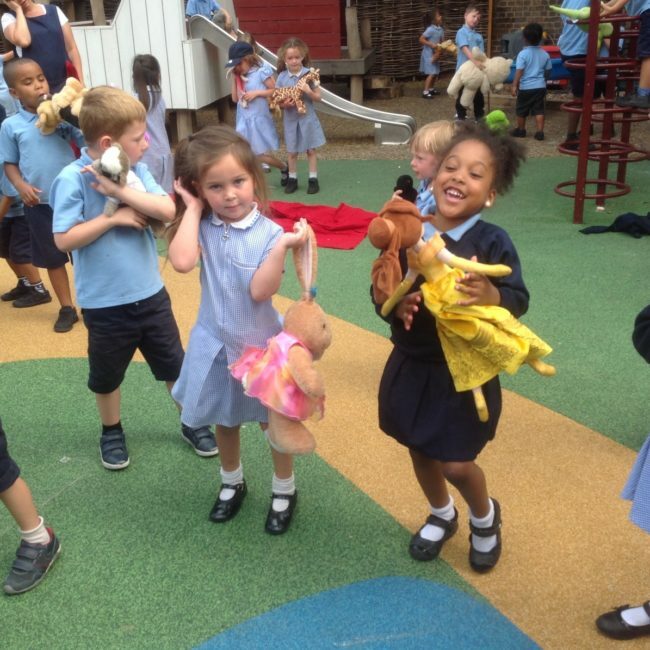 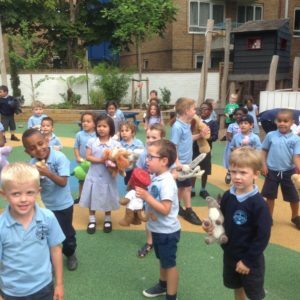 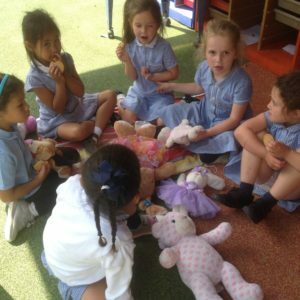 Today we brought our favourite teddy or soft toy into school and had a fun day with them. 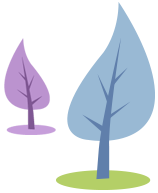 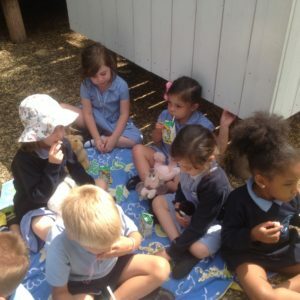 First we showed them KS1 and told them as we will be going there after the holidays. 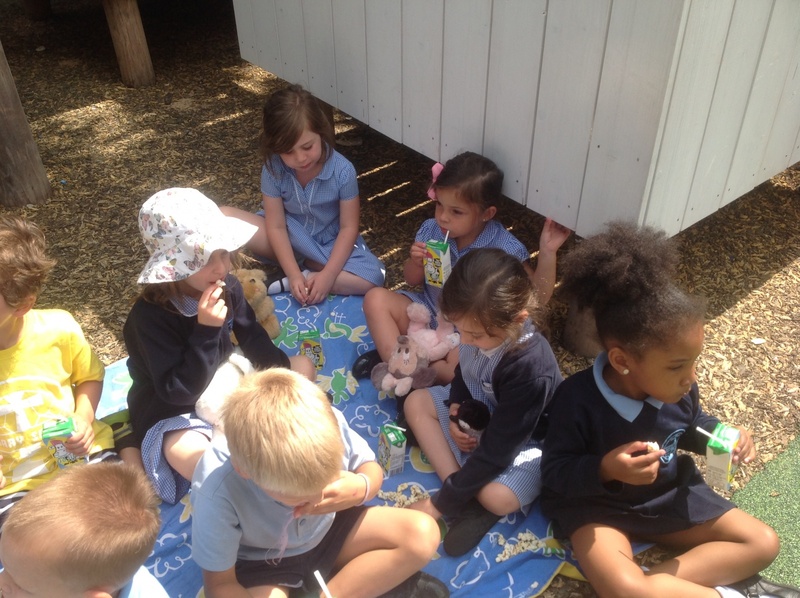 Then we played in the playground and classroom exploring all our fun games and toys. 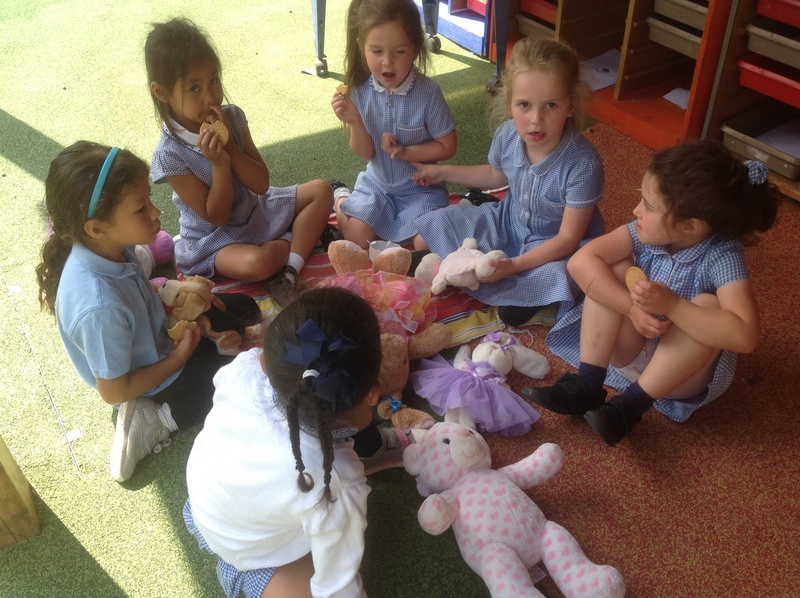 Finally we had a Picnic and sang teddy bear songs with our friends from Ducklings and Chicks.